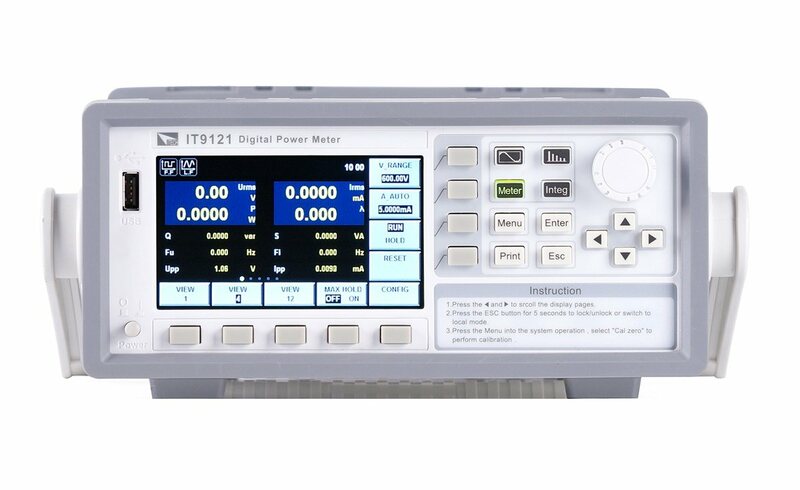 ITECH IT9121E Power Analyzer HMC8015 ! !Special Offer!! 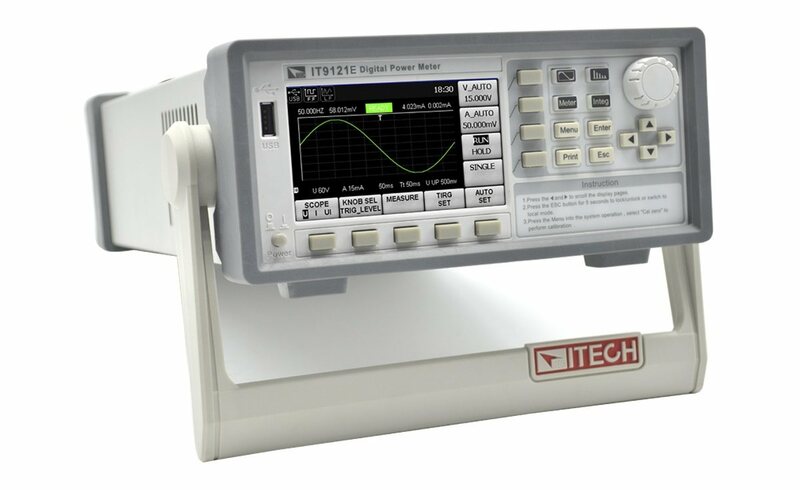 Power meter with a max input of 600 Vrms and 20 Arms and an analogue bandwidth DC up to 100 kHz. Inclusive USB, GPIB and RS232 interfaces. 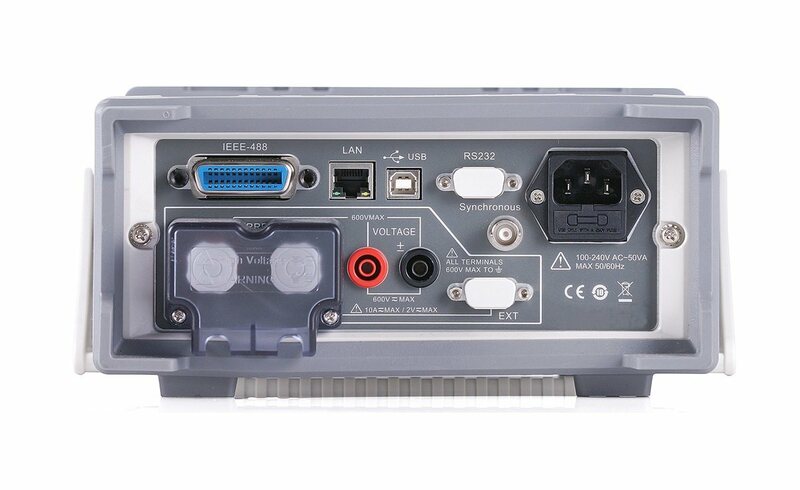 IT-E301/30A test line, IT-E301/10A test line, Power cable and Manual CD. The IT9121E AC power meter can provide the maximum input of 600 Vrms and 20 Arms and measurement bandwidth of 100 kHz, and can be easily used for measuring the voltage, current, power, frequency, harmonics and other parameters. The standard configuration includes USB, GPIB, RS232 and LAN communication interfaces and also interfaces for USB-based peripheral devices. The user can save the measured parameters into the external storage medium. The basic voltage and current accuracy is 0.1%. 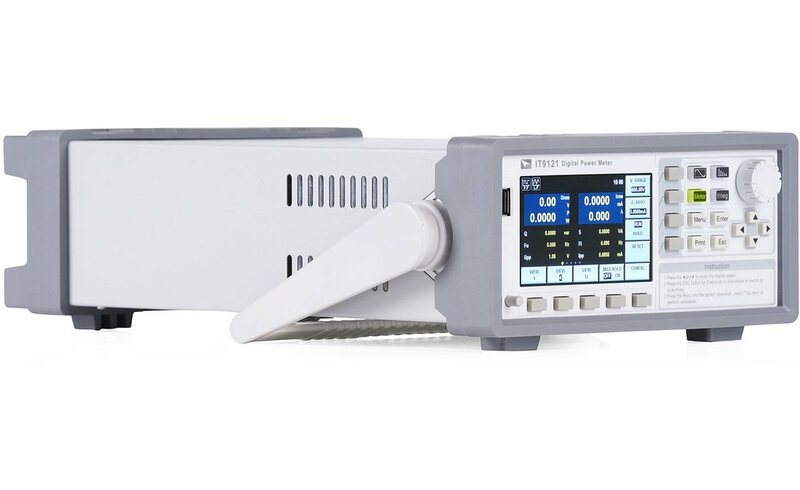 Moreover, the power meter has rich integrating functions, such as the active power. It is widely applied in test of motors, household appliances. You will find the specifications of the IT9121E series here.